The kids are very excited by bugs at the moment, and they think ladybirds are particularly nice. 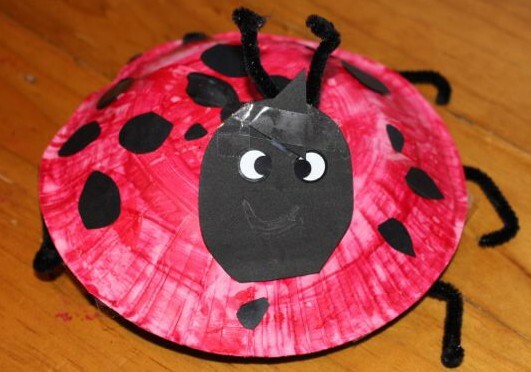 They made a ladybird each from a paper bowl. The faded colour of the painted bowls. 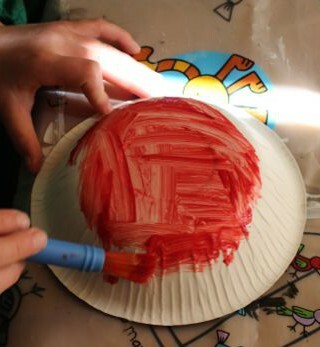 They started by painting their upside-down bowls with red paint. The tube stated “Rockin’ Red”, but it looked far more pink on the bowl. 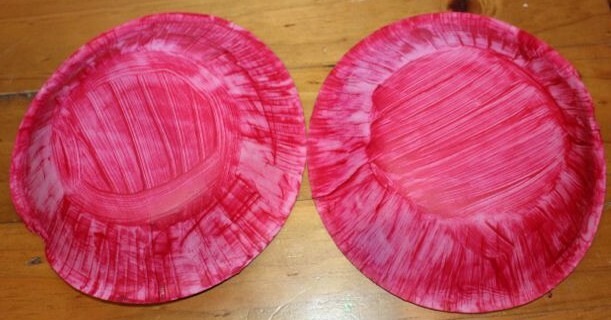 We did three coats of red paint on each bowl, but it still looked pinkish and thin. It’s a new tube of paint, and I’m quite disappointed in it, I was hoping for a more vibrant red for our ladybirds. No matter though, the kids still liked the colour! 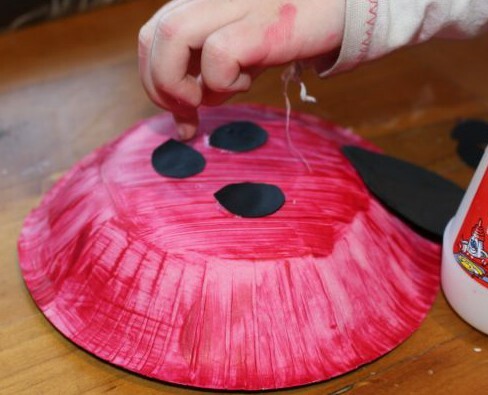 I cut out the heads from some black foam, and the kids glued them onto the ladybirds’ bodies. 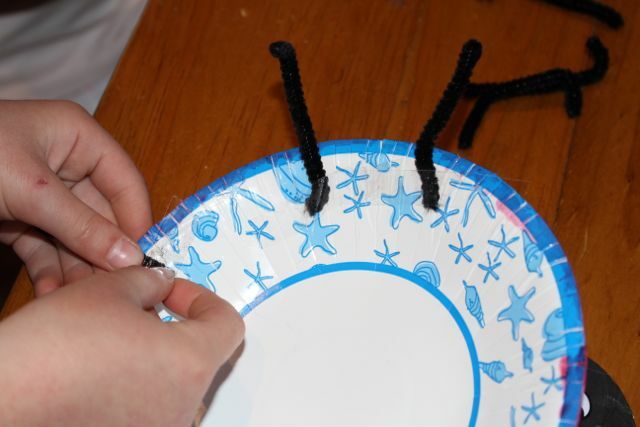 They stuck on eye stickers, and added a curled black pipe cleaner for antennae. They also glued on lots of black paper dots that I had cut out earlier. 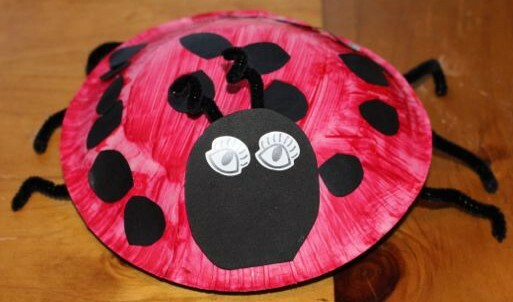 Six legs per ladybird made from black pipe cleaners, and sticky taped to the underside of the bowl, and they were finished. The kids are very proud of their new ladybird friends.